China’s first homemade aircraft carrier, the Shandong picks up where Russia’s Admiral Kuznetsov aircraft carrier left off with its designers adapting the ship to the needs of the Chinese Navy and correcting some of the shortfalls of its Russian prototype. 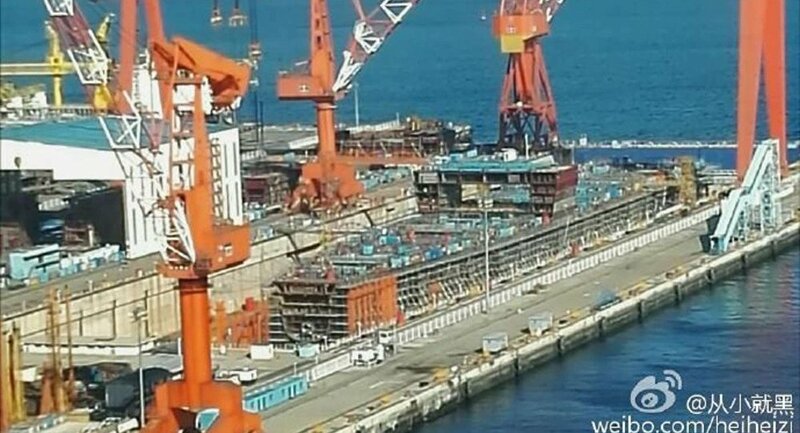 It will join China’s other carrier, the Liaoning, a refurbished Soviet vessel brought over from Ukraine in 1998. “The Shandong and its accompanying flotilla of support ships will ensure protection of Chinese ballistic missile nuclear submarines based on Hainan Island amid rising tensions in the South China Sea where Beijing has been fortifying artificial islands, a source of tension with Washington,” Vasily Kashin said. 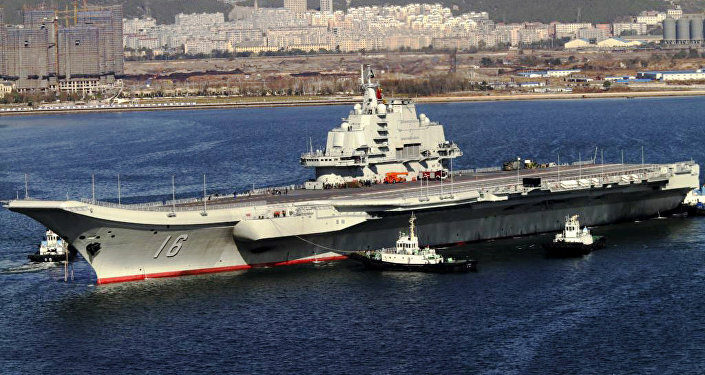 He added that even though it lacks the Admiral Kuznetsov’s powerful arsenal of offensive weapons, the Shandong perfectly suits its current mission and will considerably enhance the Chinese Navy’s ability to respond to any crisis that might arise in the South China Sea. It can also be used as a carrier of rescue helicopters during international operations during natural disasters happening in the South China Sea. “Unlike their Western counterparts, designed to project military power in faraway parts of the world oceans, Russia’s Admiral Kuznetsov and other Project 1143.5 ships were built to protect nuclear-powered missile submarines in a particular section of the ocean,” Kashin continued. He added that a squadron of Su-33 heavy fighters based on the aircraft carrier was being used to keep enemy warplanes and antisubmarine helicopters out of the designated area, while its own fleet of submarine-busting helicopters was on the lookout for US subs lurking nearby. “The planes and helicopters on board the carrier could also be used to provide target acquisition for the carrier’s battery of 12 Granit heavy antisubmarine cruise missiles,” Vasily Kashin noted. Beijing claims the entire territory of the sea, rich in mineral resources and crossed by important trade routes. China’s claims have been contested by Malaysia, the Philippines, Vietnam, and Taiwan, as well as Brunei. The Shandong’s planned deployment in the South China Sea is also seen as a signal to Taiwan following the Trump Administration’s statements questioning Beijing’s "One-China" policy.